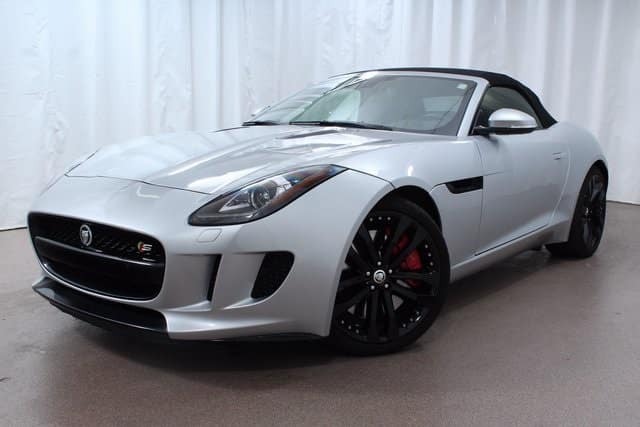 Give the gift of Jaguar this holiday season with this well-equipped Approved Certified Pre-Owned 2014 Jaguar F-Type Convertible. This beautiful car is in incredible condition and a One-Owner lease return. Powered by a 3.0L V6 24V Supercharged engine, this 380HP convertible is exciting to drive! • Premium Pack – Everything you need for peak performance. Ranging from luxury performance seats to Configurable Dynamic Mode which allows you to adjust engine, steering, gearshift, and suspension settings. • And many more premium features! Priced at just under $45,000, this beautiful feature-loaded Approved Certified Pre-Owned Jaguar is priced to sell. Stop in to Jaguar Colorado Springs to drive this exciting vehicle today.